La Moutarde and Playdius have announced Old School Musical, a rhythm game inspired by classic 8-bit games of the 1980s. 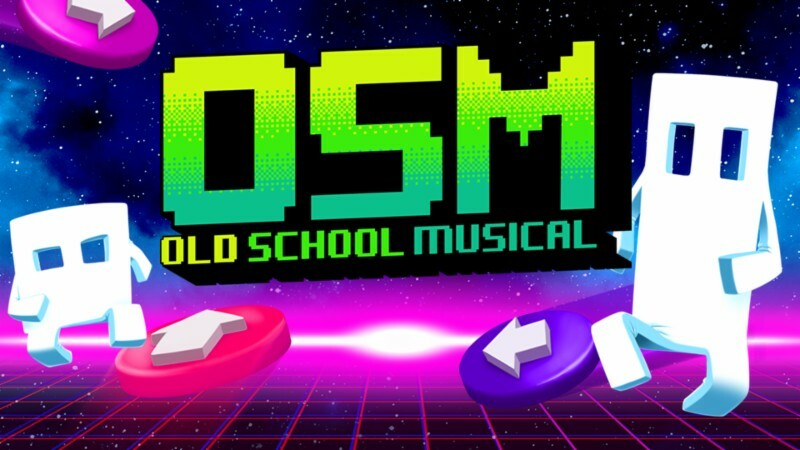 Old School Musical features a Story Mode, Arcade Mode, and Challenge Mode. It supports local play for up to 4 players. The game is now available for pre-order on the Nintendo eShop for USD12.99, and will launch on September 13. Old School Musical follows the adventures of Tib and Rob, two video game characters trained by their missing mother to be top class video game heroes. Players must stay in (chip)tune, synching inputs with flying notes to help Tib and Rob find their missing mother. Miss too many notes, and Tib and Rob’s adventure will fall flat! Filled to the brim with nostalgia fueled references and nods to classic 8-bit games, genres, and tropes, Old School Musicalis like a love letter to ‘80s and ‘90s kids in the form of a rhythm game. Put the pedal to the metal in levels inspired by retro racers, shoot down enemies and weave through a bullet hell in side scroller shooter levels, and take the fight to evil chicken armies to the beat of chiptune tracks from famous artists, including: Dubmood, Zabutom, Hello World, Yponeko, and Le Plancton. Discover over 50 tracks, composed exclusively for Old School Musical. To celebrate today’s announcement, developer La Moutarde and publisher Playdius invite players to a pre-release preview of Old School Musical’s chiptune soundtrack on Soundcloud.